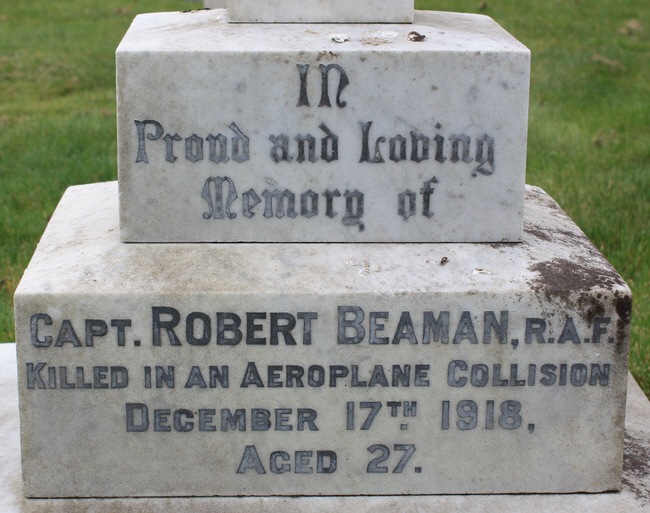 Captain Edgar Robert Hulme Beaman (Royal Air Force) is accidentally killed flying at home at age 26. He is the son of Surgeon General A H Beaman IMS. Lieutenant William Henry Maxted (Royal Air Force) is killed in a flying accident on target practice at age 19. He is a six-victory ace. Private Albert Grover (West Surrey Regiment) dies of pneumonia at Etaples at age 23. His wife died on 26th November while visiting him.